matix wrote: Nah man, I'm thankful for this rain. Haven't gotten water in a couple weeks so had to rely on this weather to fill my tanks. If you collect rain water from a house roof with PVC into a tank and you boil that water would it be safe to drink? I don't see why not, but most country people don't really boil the water. They drink it as is. It will be safe, but try it, it might not taste well, cause if I'll the minerals. Let it come to rolling boil. To ensure it reaches 100 c.
I have several containers at the side of the house to collect rainwater, use it to do water changes for my fish. It tastes great too. meccalli wrote: I have several containers at the side of the house to collect rainwater, use it to do water changes for my fish. It tastes great too. Yeah WASA does give we some kinda water here that tastes like Clorox. I setup a 200 gallon water tank at the side of the house here to collect rain from the roof. Just finished boiling a pot of it, tastes very good indeed like buy water. Independence Square and South Quay looking normal!! Must be spot flooding like around Richmond Street. Anyone pass by d creek in the last hour or so? Well this is really something else, I just got back from a Chaguanas market run and everything full of water and Mr Rain just keep rolling on. Thus far I have gotten wet at least 4 times for the day since with my work an umbrella only gets in the way. Folks if you have to be outside please exercise caution and patience. In the ultimate irony, the Water and Sewerage Authority is advising customers that heavy rainfall overnight has resulted in the shutdown of several water treatment plants throughout North Trinidad, due to a number of issues including turbid river conditions, clogged intake screens and power failures. Affected facilities include the following Water Treatment Plants: Hollis, Tompire, Matura, Aripo, Quare, Guanapo, Luengo & Naranjo, Acono, Caura. Areas affected include: Toco, Rampanalgas, Salybia, Valencia, Santa Rosa Heights, Arima, Tunapuna, Tacarigua and Maracas St. Joseph. The affected facilities are expected to return to service when conditions normalize at these locations. In light of this, customers are advised to manage their water use efficiently, as it may take up to 24 hours after restart of operations for the restoration of their scheduled pipe borne water supply. The Authority wishes to assure customers that the water currently being supplied complies with the Guidelines for Drinking Water Quality of the World Health Organisation and is safe for use. Rain water drinka checking in. Deliciousness confirmed. Lots of deep standing water on the Caroni Savannah road, around the ASJA complex intersection. Never saw the flooding so high there before. 8.Cipero River, flooding homes in Golconda and Retrench, San Fernando. 11.Beetham Highway, ajacent of the Port of Spain Central Market. 19. 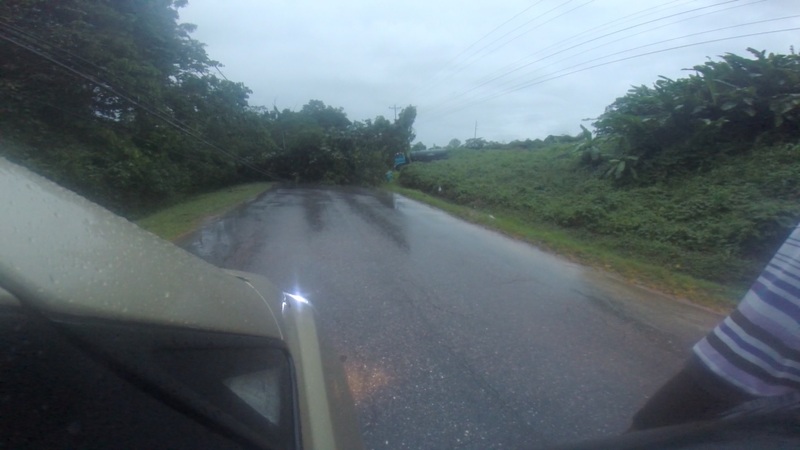 Chaguanas Main Road near the underpass Uriah Butler Highway. 37. The Guinapore River in Williamsville burst its banks. 44.Kent Street, Webb Street, Garth Street and Scale Street, Williamsville. 45.South Oropuche River continues to rise! 49 Caroni River overtopped its banks leaving El Carmen,St Helena and Madras Road impassable. 50. An area along the bank along the South Oropouche River, Woodland near the La Fotune Pluck Road, has been breached by flood waters. Roadways remain passable at this time. Houses remain mostly unaffected. I just attempted to pass by Piarco and the roads are bad with one or two cars stalling. I turned around and headed back down via the highway - not in the mood for all that drama. 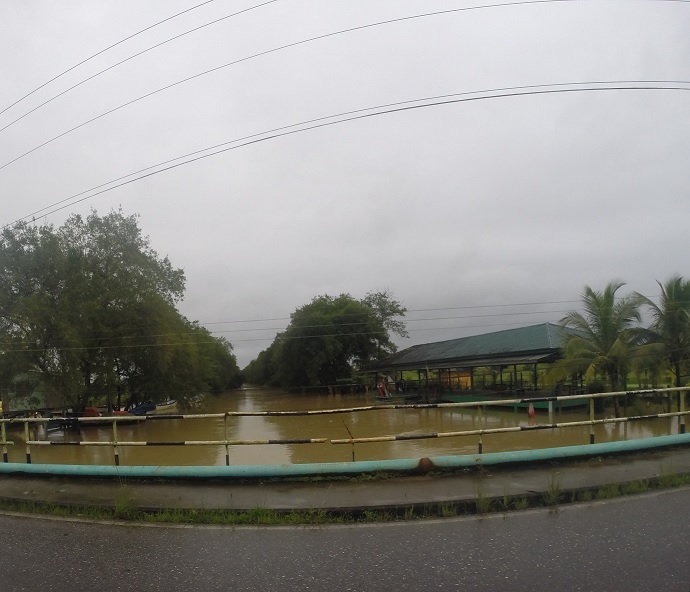 The Caroni river is also very high - the connector road (not sure of the name) from the big bridge to st Augustine is beginning to over run with water too.